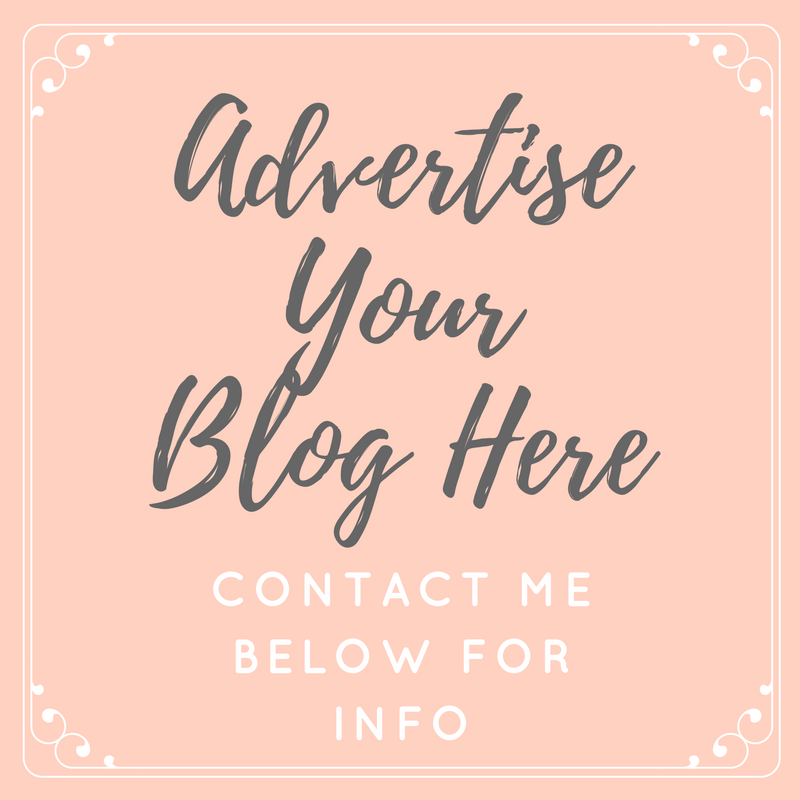 There are so many new food and drink places opening in Middlesbrough, it's getting quite hard to keep up... As a Middlesbrough local, I feel like it's my duty to try everywhere out and report back on here, basically any excuse for me to eat out is good enough for me! 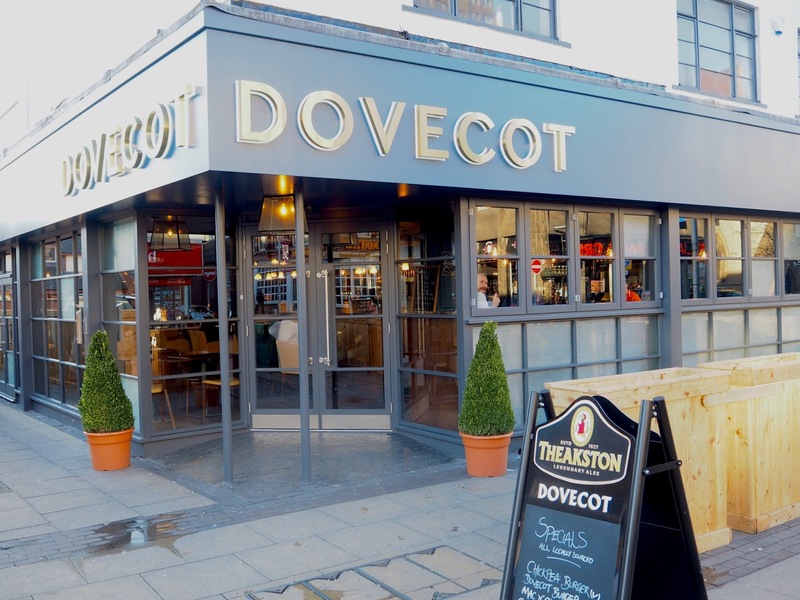 Dovecot Bar opened towards the end of 2016 and I finally got to visit last week. 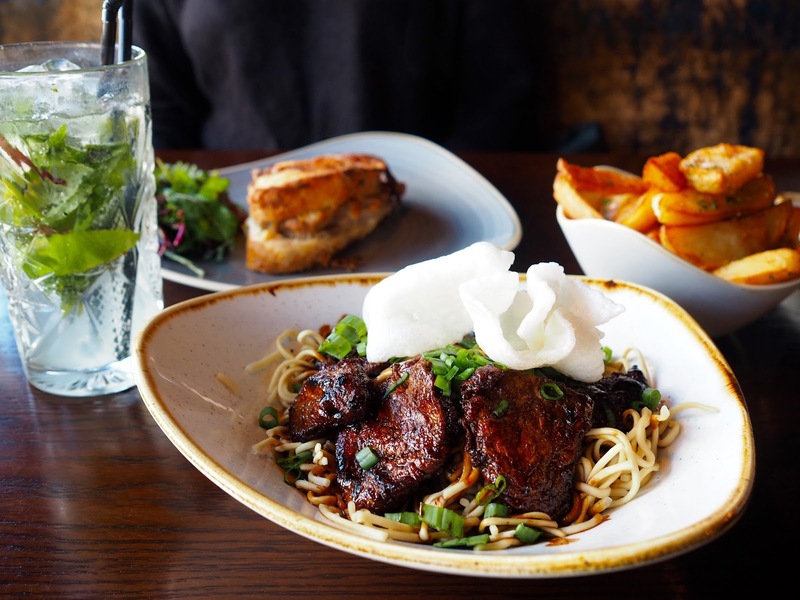 Located on Linthorpe Road, it's in the perfect central position and is a great spot to pop into for food or drink, day or night. 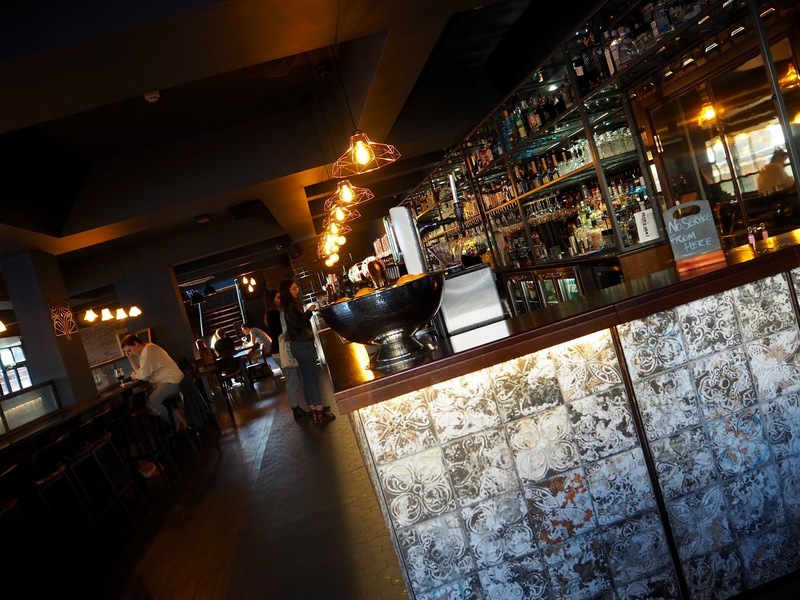 The bar is inspired by places visited by the owners from all around the world, with the best bits of Hamburg, Santorini, New York, Paris & London all rolled into one - It's very upmarket for Middlesbrough, but in my opinion, that's just what we need! Don't let the fancy decor and stylish ambience scare you though, it's one of the friendliest, most welcoming places I have visited in town. I visited on a Saturday dinner time, which I expected to be really busy, but it was just right. There were enough people in there to create a bit of a buzz, but not so many that you had to wait to be served. We sat ourselves down in one of the really comfy booths at the front of the bar and one of the waiters was soon with us to take our drinks order and show us the specials board. 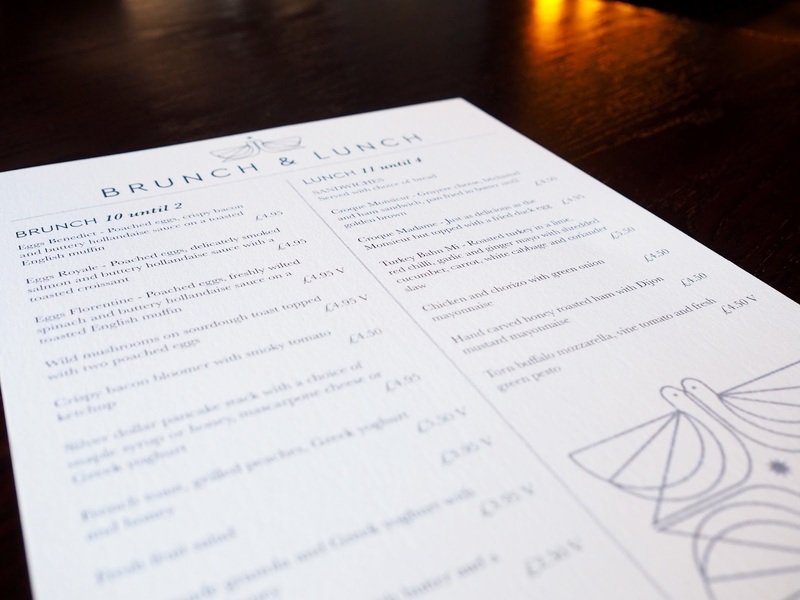 Dovecot serve a brunch menu from 10-2pm and a Lunch menu 11-4, so if you want maximum choice it's probably best to arrive in the middle, although maybe that's when it's busiest... We arrived at 2:30pm so chose from the Lunch menu. 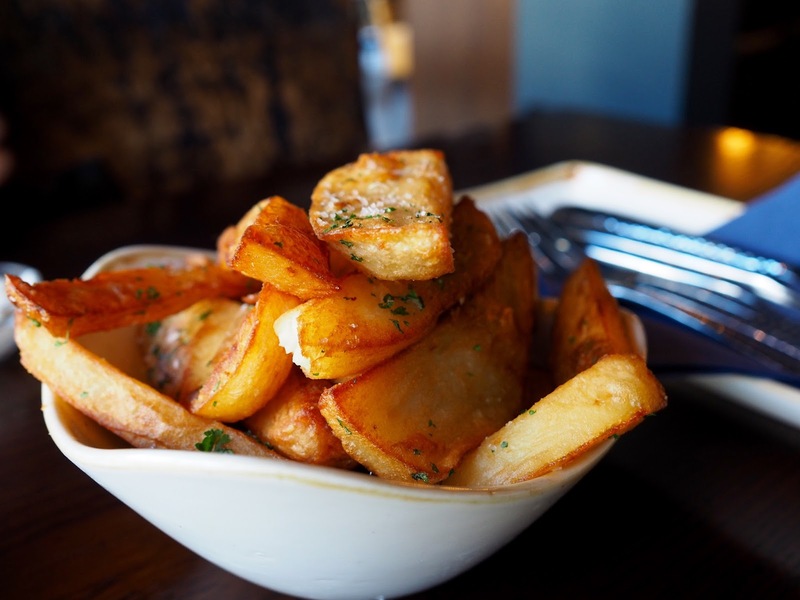 There is also a small plates menu which is served 12-9, with some great sharing options if you fancy a snack while you're out for a drink. 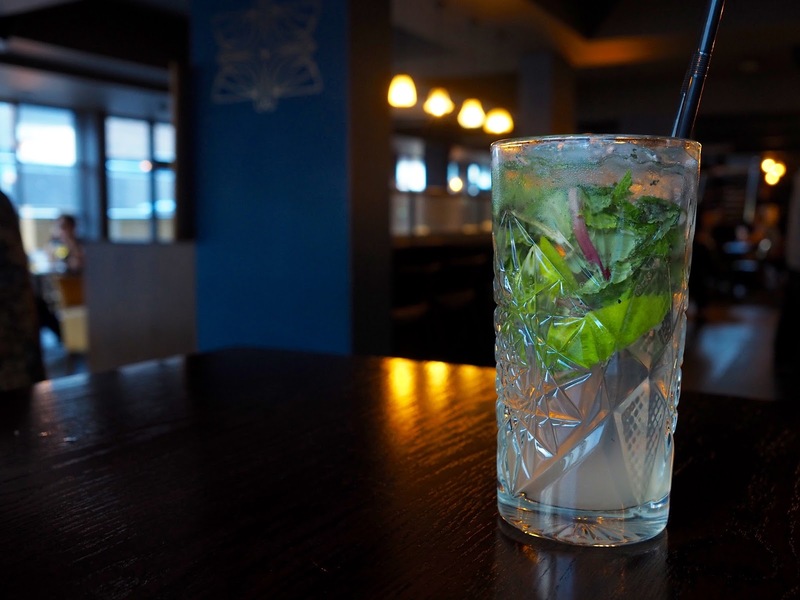 I didn't actually see a drinks menu, as the waiter was with us so quickly, but I asked for a Virgin Mojito and he said they could make me one without a problem... Despite being really refreshing, it wasn't as sweet as I am used to, and it was quite expensive (£4.95). The interior of Dovecot is really, really beautiful... It's one of those places where you feel like you have to keep looking round so as not to miss out on anything. There is a lot of dark wood, dark blue painted walls and metallic accents with golden fabric seating for the booths, copper wire lighting and bronze coloured logos painted on the walls near the entrance. It's very upmarket and classy and unlike anywhere else in Middlesbrough. Our food order was taken and without having to wait long at all, everything was brought to our table. 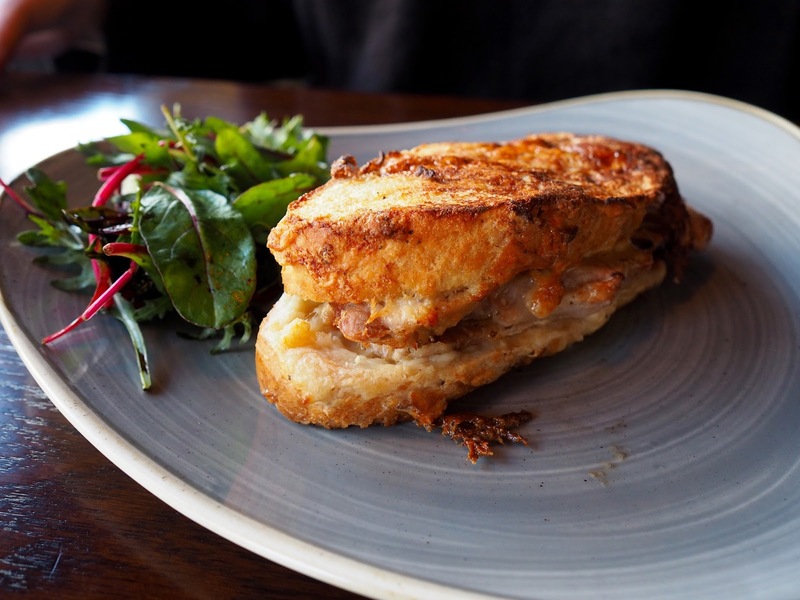 I chose the Sticky Pork Tenderloin from the specials board which was served with noodles and prawn crackers and Ray ordered the Croque Monsieur; a Gruyere cheese, béchamel and ham sandwich, pan fried in butter until golden brown with a side order of homemade chunky chips. Everything was freshly made to order, and the presentation was lovely. My pork was one of the most delicious dishes I have eaten in a long time, the flavours worked so well together and really tingled my tastebuds. I was just disappointed with myself because the noodles were so filling and I didn't manage to eat it all, although I made sure I didn't leave any of the perfectly cooked pork to go to waste. Ray said her food was amazing too, and by the time the price of the drinks had been balanced out by the much better value food, it came to a really reasonable price. We both agreed that we can't wait to go back... I'd even go as far as saying this is my new favourite place in the Boro! Ooo I love the look of this place! The decor is stunning!